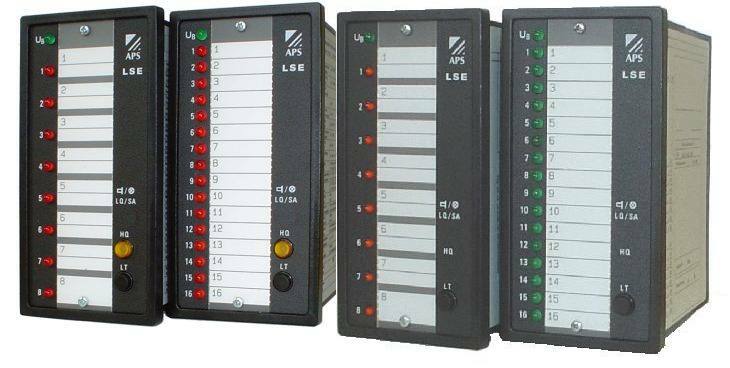 The LSE annunciator system family is mounted in the front of cabins or machines. Each unit has 8 or 16 built in LED's which can be labelled with an insertion tag. Depending on the chosen type, the front has additionally built in push buttons and a buzzer. The LSE units are available in a wide range of different supply or signal voltages to fit your needs. All electrical connections are realised by plug-in screw terminals on the back of the unit. 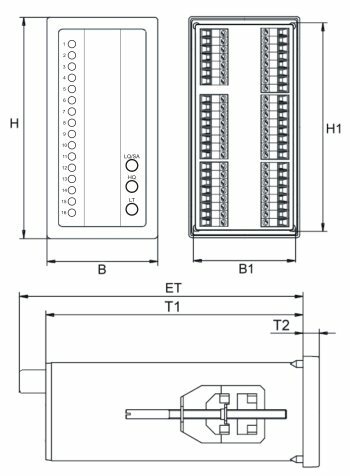 To realise larger systems with a higher amount of inputs than a single device offers, it is possible to connect up to twelve units. 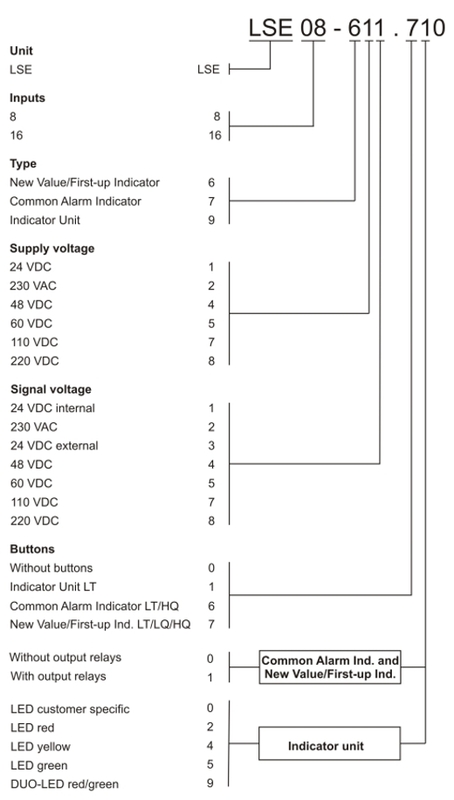 The LSE Common alarm indicator is used to signalise technical faults according to the DIN19235 function sequence "Common Alarm". The LSE New value/First-up indicator is used to signalise technical faults according to the DIN19235 function sequence "New value/First-up". The LSE Indicator unit is used to signalise the operation or fault of technical equipment without a function sequence. Furthermore, it can be used as a parallel indication to LSE annunciator systems.